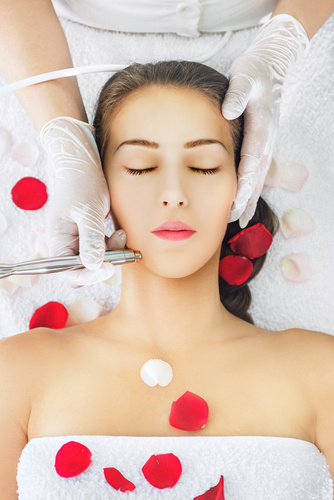 Microdermabrasion is a skin resurfacing procedure in exfoliating the top layer of dead skin cells that has been damaged by exposure to sun, toxins, and environmental factors. It is designed to stimulate collagen growth in the lower layers revealing healthy, luminous skin. Removing the outer most layers of the skin stimulates cell renewal, regenerates healthier skin thereby leaving skin smoother, brighter, more even-toned and allows skin care products to penetrate more effectively. Hollywood facial raved by celebrities. Soothing, moisturizing and non-invasion professional treatment that combines cleansing, exfoliation, extraction, hydration and antioxidant protection simultaneously for clean, clear and glowing skin.